A practical glass with a thoughtful personalisation. 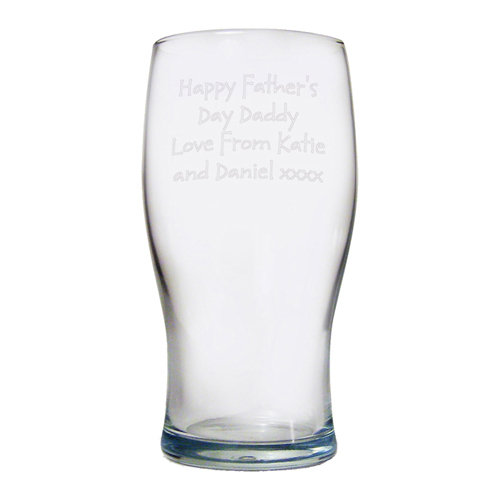 This personalised pint glass makes a great gift. Personalise with any message of your choice over 4 lines, 15 characters on each line. Personalise with any message of your choice over 4 lines, 15 characters on each line.